Brandie. That’s what they call me. 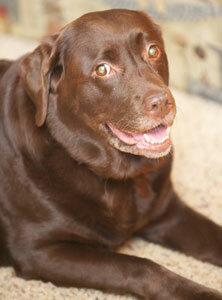 To be more precise, I’m a Chocolate Labrador Retriever. My human’s name is Don and he’s great – he’s always giving me biscuits, playing catch with me, and he even takes me swimming. It’s a pretty good life with Don and his wife, Nancy.